After the success of its first show, IIFA Utsavam is back with yet another edition. The event flagged off on Monday with some famous faces from South Indian cinema including Baahubali: The Beginning star Rana Daggubati, Nani, and Raai Laxmi among others. The star-studded two-day gala event celebrates and honors the talent across the four southern film industries including Malayalam, Tamil, Kannada, and Telugu. The event took place in Hyderabad on Tuesday and Wednesday and needless to say the event was a star-studded night. The first day of the award night saw the who’s who of Southern industry gracing the green carpet of the event. While actresses like Esha Gupta, Sayyeshaa Saigal, Shanvi Srivastava dazzled the green carpet, actors including Upen Patel, Akhil Akkineni stole the limelight with their presence. Rana Daggubati was seen hosting the Tamil and Telugu section of the award night. Besides, celebrities including Chiranjeevi, Nagarjuna, Venkatesh, Mahesh Babu, Sothern superstar Mohanlal among others are also expected to attend the gala night. Southern superstar Kamal Haasan’s daughter Akshara Haasan made her debut at IIFA Utsavam 2017 and set the stage on fire with her rocking performance. Gorgeous actress Raai Laxmi, who will next be seen in a bold appearance in the upcoming film Julie 2 stole the limelight at the award show. Dressed in a Lars Eldnes labeled thigh-high slit beautiful gown, Raai completed her look with a dark maroon lipstick. 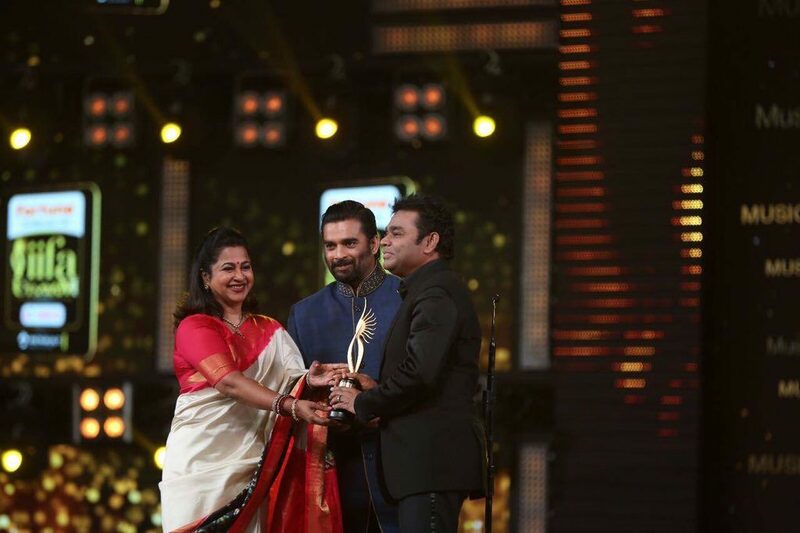 Music Maestro A. R. Rahman, who is best known for his songs like Jai Ho, Kun Faya Kun and others received best music director Tamil for Achcham Yenbadhu Madamaiyada. Actress Rakul Preet Singh, who is best known for her role in Divya Khosla Kumar directorial Yaariyan looked stunning at the green carpet of the IIFA Utsavam.